This die marriage is the final variety listed by Walter Breen in his 1966 monograph, and was identified by him as variety 6-H. 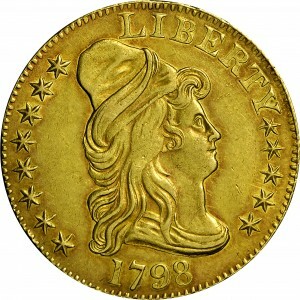 This is moderately rare, and was described by Breen as Rarity-5. Such a rating remains accurate. Harry Bass acquired two examples of this variety and firmly believed that owning one was good and owning more was better. 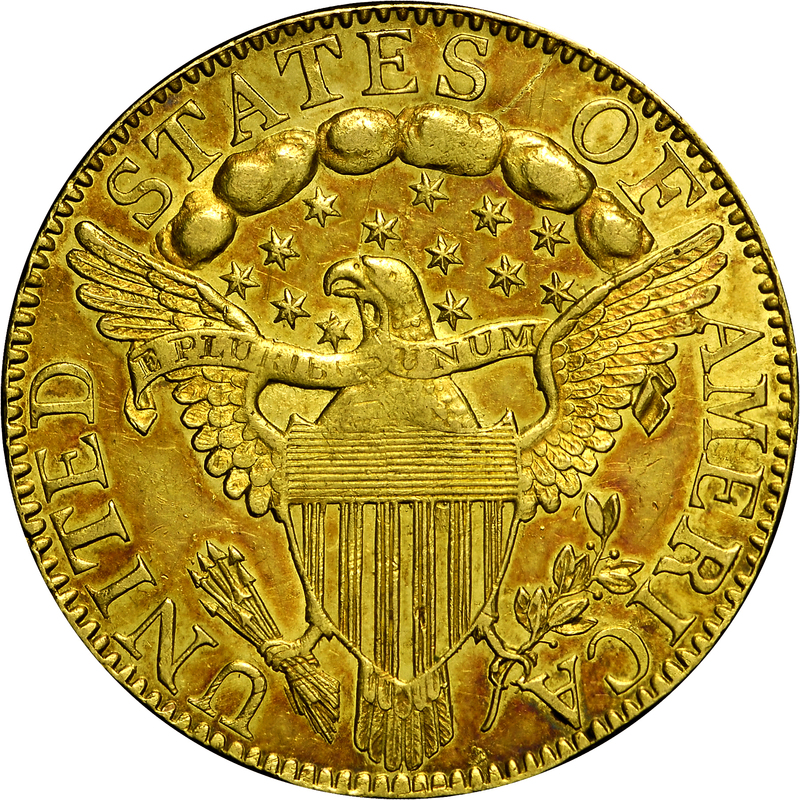 Harry Bass was extremely interested in the early half eagles, along with other early gold coins. He studied die varieties and die states, and formed a nearly complete collection, the likes of which will probably never be duplicated. From Superior's sale of the Dr. Charles Ruby Collection, Part I, February 1974, Lot 1788. 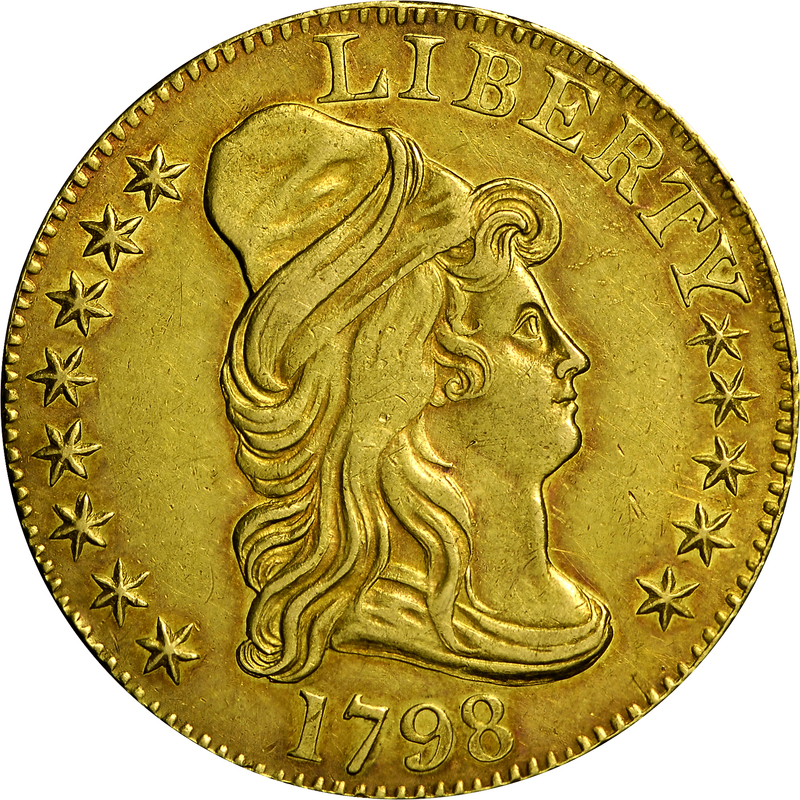 "Obverse: Small date, quite low; spaced 1 7 98; distant from bust. New 9 punch. No cracks. 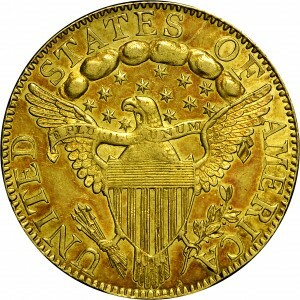 Reverse: 13 Stars. Five stars in straight line running from right wing towards second cloud from left. Crack edge - field between S O - cloud. Not clashed."